In this task we ‘crowd-sourced’ definitions and descriptions for a lot of the (lot of) vocabulary we have learned this year. This is to reinforce that Biology is as much a language course as a science course, and that everything is connected. Does it make sense? Are there any errors? It the definition clear in the ‘wider sense’ of the course? In our spreadsheet, we identified 312 terms (and growing) from this year. Students might use the vocab list to make sure they are meeting markscheme requirements for target language – are they giving complete and correct answers? Students can use the vocab as a foundation for concept-maps, model responses etc. If you have any creative – and effective – review methods, let us know in the comments or on Twitter! Quick update to the Socrative Space Race page: some new cards to use with the beta version. Definedly… maybe? Get the definitions right in your review. Define is a ‘simple’ objective 1 command term… but you must be precise in your answers. Definitions are also a great start to review and build into deeper explanation of the concepts. Quiz yourself on the definitions, check your answers. This Sortable Syllabus might help. 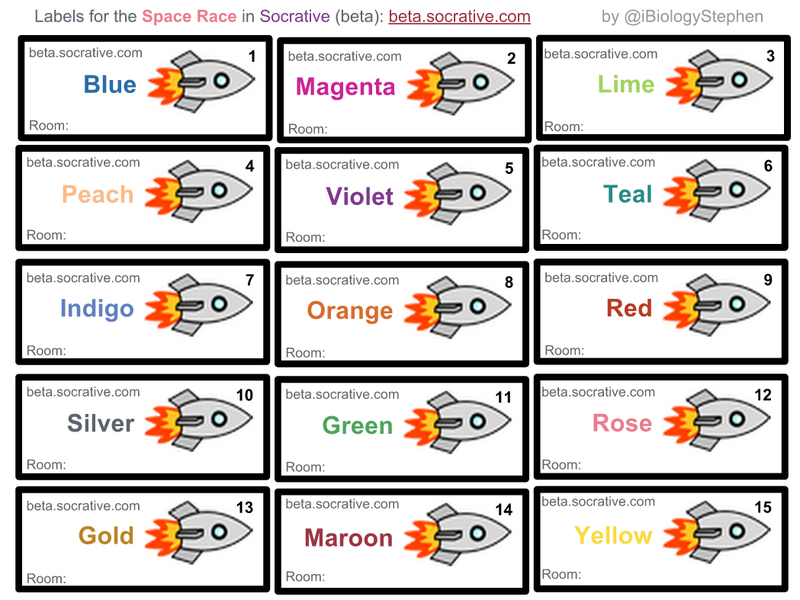 Update Feb 2014: Added cards for beta.socrative.com space races. I really like the Socrative Space Races and quizzes as a formative or pre-assessment tool. When set up and managed well, they lead to competition with a spirit of collaboration. It is the most user-friendly free clicker-type system I have tried so far. 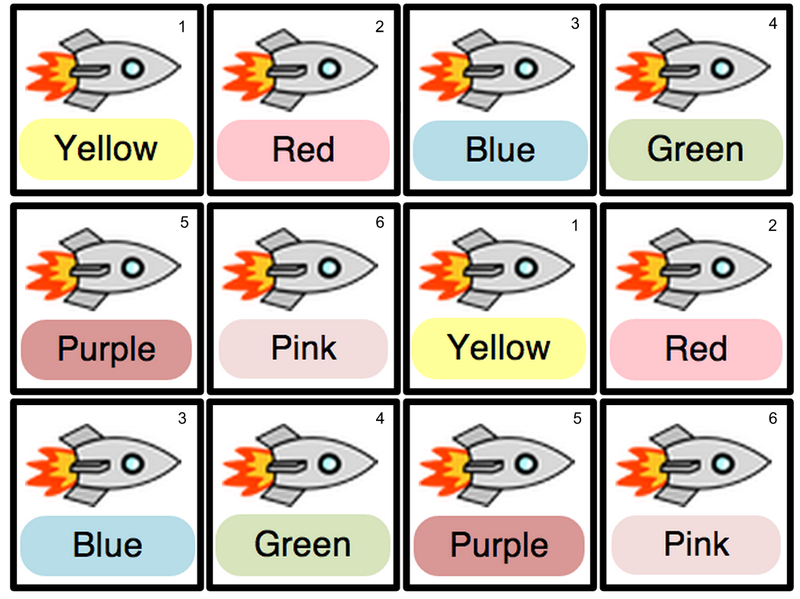 These labels might help organise the races in your class and to avoid issues with confusion over who is controlling the rocket (sometimes there are clashes). 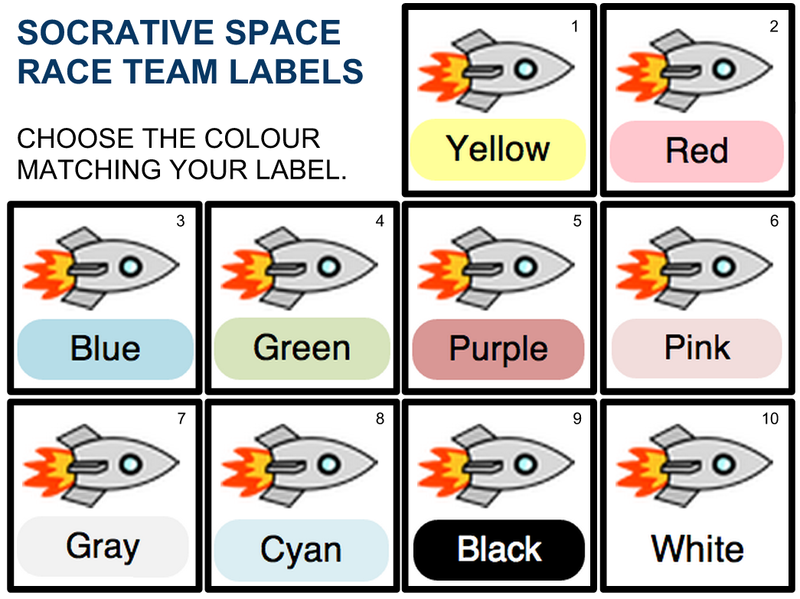 You could hand out the cards to groups of students, make stands for tables with the rockets on, use them as stickers for a shared iPad or have multiple sets printed and laminated to be handed out as a ‘flexible grouping‘ tool.